Mandawa is one of the most characterfull towns in the Shekhawati region of Rajasthan. It is great for architecture lovers. If you are fond of Indian Havelis, then head to Mandawa. The doorways, lintels, brackets, gargoyles, pillars and walls of Mandawa Havelis will make you feel that you have entered an open art gallery of India. The charm of Mandawa has won the hearts of many making it one of the famous locations wherein popular Indian movies are shot. On this Mandawa Excursion, get the royal feel by exploring the Havelis and colorful bazaars of the town. 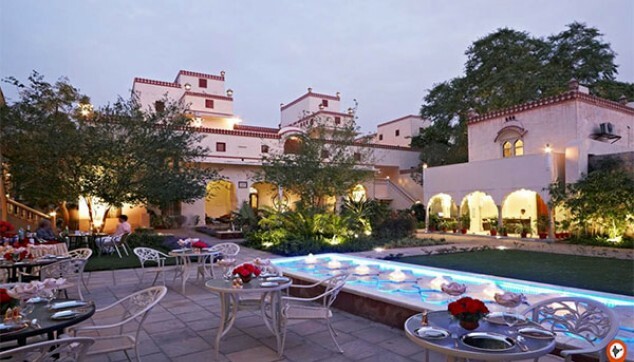 Explore the charm of Mandawa Havelis. Appreciate the Fresco paintings of Mandawa. 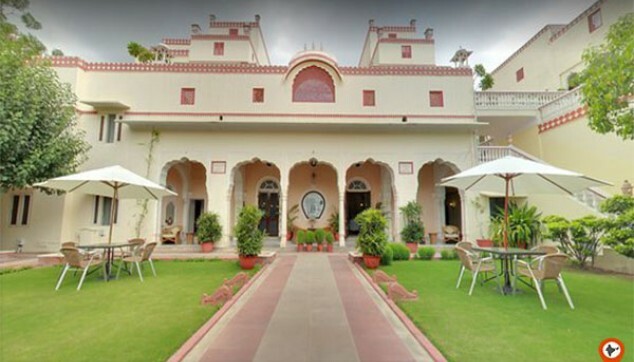 Delve into the marvel of Castle Mandawa. Stroll through the colorful bazaars of Mandawa. 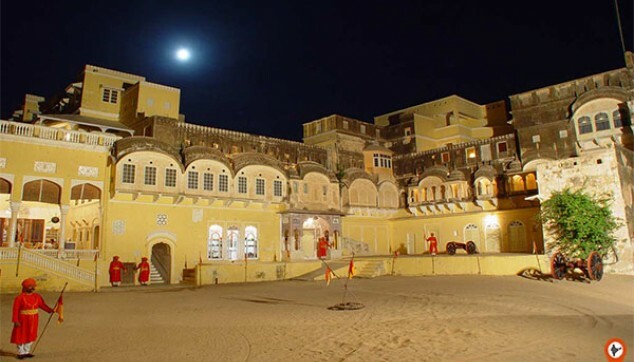 A Rajasthani local guide to explain about the significance of Havelis. Around 8 am, your Mandawa Excursion Tour will start. Our driver will receive you from the Jaipur hotel or airport. From here, head on to a 3 hours road journey to Mandawa by a private car. This is based in the heart of the Shekhawati Region of Rajasthan, India. Head to Havelis that have historical and architectural significance. The Hanuman Prasad Goenka Haveli, Goenka Double Haveli, Mohan Lal Saraf, Gulab Rai Ladia Haveli, Jhunjunwala Haveli and Murmuria Haveli. These Havelis reflects the architecture of the 18th and 19th centuries. Head back to Castle Mandawa around 2:30 pm. Here a warm lunch awaits you. After some rest, head to different cenotaphs of the royal family members of Mandawa. Here stroll through the colorful bazaars of the town. Keep your purse full as the art of Mandawa will tempt you to buy stuff to take back home. If time permits, then you can also explore some more Havelis. Around 5:00 pm, the Mandawa Day Excursion will come to an end. Now, head back to Jaipur and the car would drop you back at the hotel or airport in Jaipur. English speaking local guide during the sightseeing in Mandawa. Buffet Lunch at Mandawa Haveli. Loved the tour of Havelis and paintings. The tour arrangements were done very well by Indiator.